Contemporary styling paired with ergonomic design makes the BFF Lab Stool ideal for use with standing-height desks or lab tables. The BFF Lab Stool adjusts for counter-height or bar-height workstations with height adjustment via pneumatic gas lift. The ergonomic design supports the user’s movements from seated to standing positions, making transitions easy. Integrated foot ring provides a comfortable seated position. 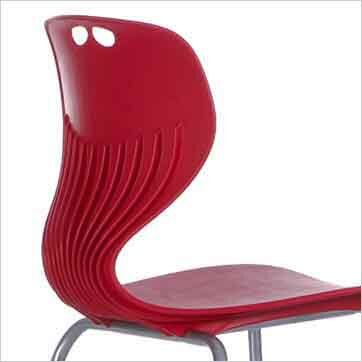 Molded seat is comfortable, supportive, and easy to clean in the event of spills. Variety of finish and color options available as well as padded seat and glide options.